He calls his posting “The Near Death Experience: A believer’s evidence, a skeptic’s challenge.” The blogger of He Rose for Grace, uses the Shroud of Turin as an example to explain how accumulations of evidence give credence to near death experiences or NDEs. 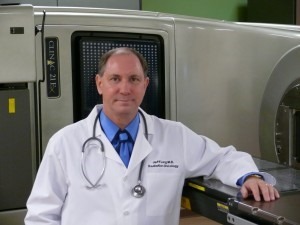 Jeffrey Long, M.D. [pictured] has spent a life time studying near death experiences (NDE). Evidence is a curious thing. Standing alone, any evidence can only vaguely point a finger toward a specific direction of truth. Oftentimes, as in the belief in Christ or God, Himself; by taking only one piece of evidence, you can’t eliminate enough variables to keep a convincing argument. To say, for example, that the pollens on the Shroud of Turin are a dead ringer for the species that grew in Jerusalem at the time of Christ, therefore the cloth is authentic, doesn’t give enough evidence. However, when you consider that the scorch is of an unknown origin, and can only be caused by vacuum ultraviolet radiation with a wavelength of 200-100 nanometers from laser pulses lasting less than 50 nanoseconds, it helps. . . . As we study, painstakingly sweat in the labs, carry on discussions, and bleed our brains over midnight oil for variables to give us another alternative, at one point, we finally realize that the variables have been nearly explained away, given enough lines of evidence. It is the gift of reason. Jeffrey Long is a radiation oncologist. For more than ten years he has studied the incidences of NDE. He is the author of Evidence of the Afterlife; the Science of Near Death Experiences. His web site is the largest known account of NDEs. Jeffrey says that the Gallup Poll numbers those who have had NDEs then lived to tell about it are 5% of the population. Blissful state, Heavenly realms, and those recovering wake up unafraid of death. His claim is that consciousness is outside of the body. These people come into infinite love and a feeling of being in touch with divinity. Some feel a universal knowledge. The changes they emotionally go through impacts them for the rest of their lives. They come back to life convinced there is life after death. Relationships become important, materialism slides into the background and its importance often dissipates. Sometimes they change professions and begin to work in areas that are geared more toward nurturing and love for fellow man. According to Dr. Long, the nine lines of evidence that surpass any medical reasons follow. You can read the entire posting if you wish. It is well written. Pet theory! That sounds like the world of shroud skeptics, as well. . . well. some of them anyway. He is unnecessarily mixing things up, as though the TS is only meant to remind us about the so-called NDE and the question of survival after death.There are humans who only think about their survival after death and forget about the rest of creation. If he goes a little deeper into ontology, about which we know very little, he will be led to the topic of energy and much more. For a start, the mind-body problem is still not resolved. Louis: The article compares the Shroud with NDEs in the way that enough evidence will give us a verdict. I don’t see a mixing up of the two. It’s only to agree with Dr. Long that enough evidence will demand a reasonable conclusion or verdict. The Shroud is used as an example. The article is focused just on Dr. Long’s findings. The topic of energy and ontology is a larger scope than where this article intends to go. One wonders where his “evidence” will take us. Some of the people who have had such experiences claim to have seen Jesus surrounded by very bright light, others a dark tunnel with a light at the end, yet others floating above us here below and seeing everything that was going on. The evidence seems to lead to the unconscious, which encompasses past, present and future. What is “seen” is embedded in the unconscious. That is why ontology — our minds and the universe included — and the mind-body problem was mentioned. There can be a positive effect: the blogger says, “materialism slides into the background and its importance often dissipates.” It is like shock therapy. Why? Because life is short, there is generally not enough time to think, we have to eat, see to it that we are living under a roof and that it does not collapse and so on. Of course, there are people who have all these material things easily and do not want to think, they are immersed in materialism.